The Harlem Globetrotters Are Back in So Cal! Get excited, folks! The Harlem Globetrotters are coming back to Southern California for their 90th Anniversary World Tour! That's right, 90 years of basketball hijinks and revelry on the court and goodwill throughout the communities they visit all across North America. Don't miss a moment of the action and excitement as the Globetrotters captivate families with trick shots, slam dunks, comedy and exceptional displays of athleticism. 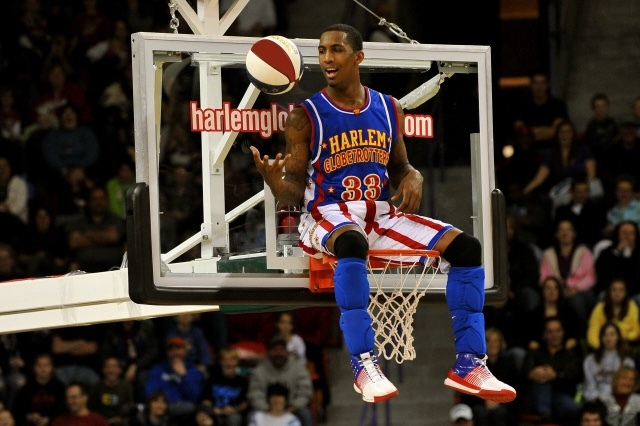 Get your tickets now at http://www.harlemglobetrotters.com/tickets.